The day has come. Yep. Its been one year now from the day where we have arrived in the "Howrah" railway station, bus station, airport or wherever exactly last year! One year just whizzed out like anything. First three months were undoubtedly celestial to all of us. Definitely never ever forgettable memories we had over there. Specially being southies, Rottis and Aloos have played a greater role in our foodies. Hope No need to reveal the fun we had in the Digha trip! The days where we really came to know about every one how sweet and tweet they were! Before those bliss getting allayed, the next fine morning has knocked every one of us to let all the fun down as it is time to start a pack up to banglore, chennai and hyderabad with no time to think over. However we got settled in our respective places by convincing ourselves to get into the real working floor of corporate! Fortunately or unfortunately we were not able to plan another trip as the one we had and we are ahead of a long while now. 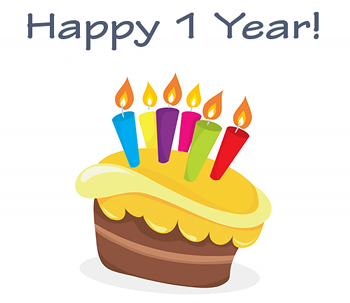 Anyways Just gave a generic reminder to all of you that we are gonna be one year old in wipro :) Thanks for the time being spent with me. Time to cheer for celebrating one year of Wipro life! Congrats everybody! Have a great career ahead. Never loose the touch in the offing. Cordially dedicated to all those people who have joined along with me in Wipro Technologies on 24 th march 2010.